Celebrates people, places and moments in time experienced in the HxBIA area throughout its rich history. https://www.theinnerface.com/wp-content/uploads/2017/08/Living-History-Series-Cover-web.jpg 658 1501 Sean http://www.theinnerface.com/wp-content/uploads/2017/07/innerfacemedia_logo.png Sean2017-08-03 14:47:002017-08-03 19:00:15Living History Series | Chapter 4 - A Punk Rock Family! 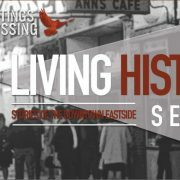 https://www.theinnerface.com/wp-content/uploads/2017/08/Living-History-Series-Cover-web.jpg 658 1501 Sean http://www.theinnerface.com/wp-content/uploads/2017/07/innerfacemedia_logo.png Sean2017-08-03 14:44:572017-08-03 19:00:44Living History Series | Chapter 3 - Hendrix at the Buddha..?